Samsung seem to be doing well with both the S and Note smartphone devices, with Samsung already selling five million Galaxy Note II devices since the launch. Samsung announced in September that they had sold three million devices. This figure has almost doubled in two months, and we expect with the holiday season that the Galaxy Note II will be at six million before 2013 begins. The Note II has been praised for the great screen and large battery life, but some users and viewers have been put off by the size, and at 5.5-inches, the Galaxy Note II has been criticised for its practicality as a phone. Another problem users have with the Note II is the fact that a stylus is added to the device to enhance usability and make the device feel like a tablet. Styluses are an old way to communicate with touch-screen interfaces and Samsung’s development of this technology may fragmenting their place as a technology leader. One of the main factors behind Samsung’s worldwide success is their availability, with the Galaxy Note II available in 128 countries. The Note II’s cousin, the Galaxy SIII, has had bigger success, surpassing thirty million shipped units since launch. 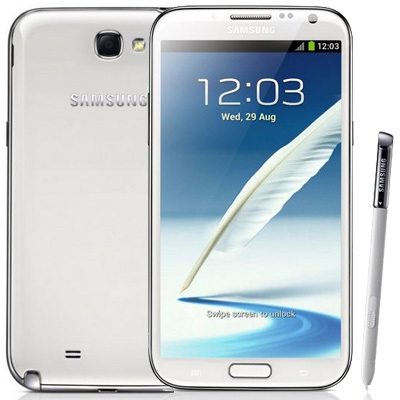 Analysts predict that the Note II will hit twenty million units sold before the successor, Galaxy Note III, comes along and takes over. We suspect Samsung will be looking to add better screen display and processing chip to this new flagship, once brought out. Suspicions of a quick launch for the Samsung Galaxy S4 and a quick successor to the Galaxy Note II are rumored, with many saying the Galaxy S4 will be revealed sometime this February. We have not heard anything about the Note II successor, but with all the income from these two brands, we suspect that Samsung will be quick to make better devices for the huge audiences they are attracting.